St Bruno was born in Cologne around 1030. He studied at the university in Rheims, where he later taught, and was Rector of Studies for twenty years. 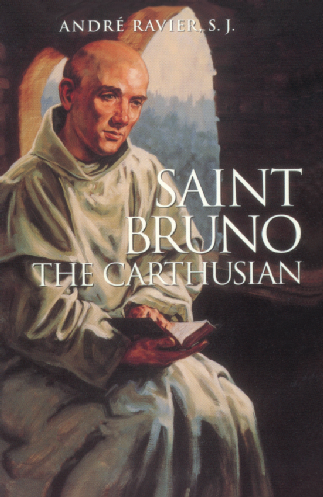 Chosen in 1080 as the new Archbishop, Bruno had other plans - he had decided to follow Christ to the desert - and with six of his companions settled in a mountainous and uninhabited spot in the lower Alps, in a place named Chartreuse, under the guidance of the young bishop of Grenoble, Hugh Châteauneuf. They built an oratory with small individual cells at a distance from each other where they lived isolated and in poverty, entirely occupied in prayer and study. André Ravier’s classic biography, drawing extensively on original documents, reveals the real Bruno, allowing this great saint, the very model of the pure contemplative, to teach us the value of setting aside the transitory to seek solitude in one’s own heart - “to seek God alone”.